It’s no secret to say that kids are expensive. It was only three years ago that the cost of raising kids was reported to be the highest it’s ever been, and things don’t stand to have gotten much better since then. If you’re going to have children, your bank account will take a hit! When it comes to expenses, the usual suspects pop up; schooling, food, clothes, toiletries, etc. However, there’s a few other expenses that many parents don’t think of, and thus don’t quite budget for either. Consequently, here’s a few expenses to prepare for with your kids. While some perceive primary school kids to be largely oblivious to what’s going on around them, such people don’t give them enough credit. The primary school years can mould children into future patterns of behaviour, so it’s important to ensure that your kids are having positive experiences as early as possible. That means clubs and activities. It’s also important to involve children in household chores – even young children can help with basic tasks such as folding washing or laying the table. If you love any famous dancers, artists and sportsman, chances are most of them started very young. They turned their childhood hobbies into fully fledged careers, so if you can get your child into some clubs early on, this may just go on to inform what they do in the future. At the very least they’ll have fun with their peers and develop their social skills, so make sure they’re outside and interacting with others early on. They may just develop a lifelong passion or make a lifelong friend, even if it costs you. Often, this is where most of the expense arrives when it comes to kids. Teenagers are now old enough to know right from wrong, and exactly what a price tag means. Still, this does little to sedate their greed and want for endless stuff! While they should at least be working a paper round for some cash, this obviously won’t cover all their expenses. For example, one of the big expenses here is the car. They’ll likely need one, and it’s going to need fuel, maintenance costs, lessons and insurance to be driven. Affordable deals can be found at UnbeatableCar.com, but it’s still an expense to keep in mind. Additionally, your kids may adopt more expensive pastimes, like video games or long-term travelling plans. Of course, then comes university – if you think your child’s loans will cover their drunk and disorderly behaviour, well, you couldn’t be more wrong. Expect the odd call asking for some cash! You may think that as soon as your child turns 18, they won’t need you anymore for financial help. Well, the unfortunate truth is that this is quite unlikely. Aside from university expenses, young adults are struggling to find jobs, pay their rent, and even get onto the housing ladder at all. Such people will turn to their parents for help and support, and it’s only right to help your own kids if they’re trying their best but don’t succeed. 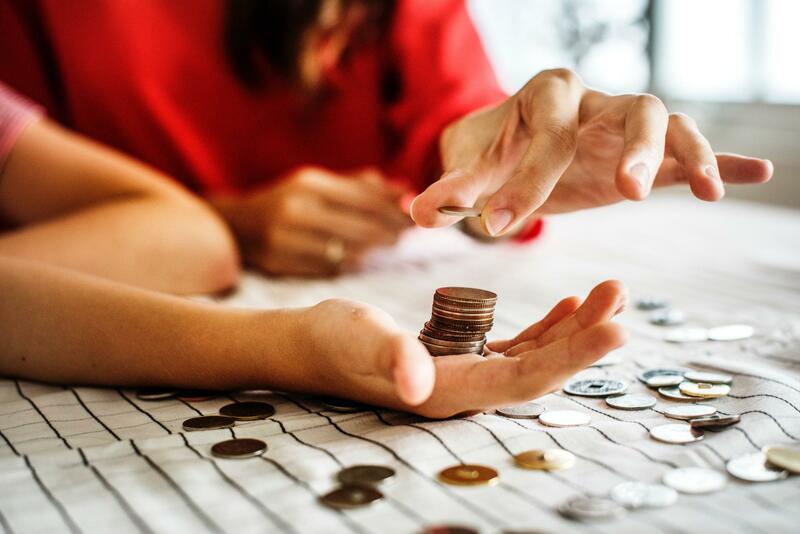 While you can expect a contribution from your kids at this age if they’re living with you, you may need to help them with housing deposits, bills, food, and anything else that they can’t quite afford. For many university leavers, there’s a period where they don’t quite land on their feet, and need someone to pick them up, dust them off, and point them in the right direction. Until they work it out, you can expect to cover their usual expenses for an intermittent period, and perhaps some rent money too.